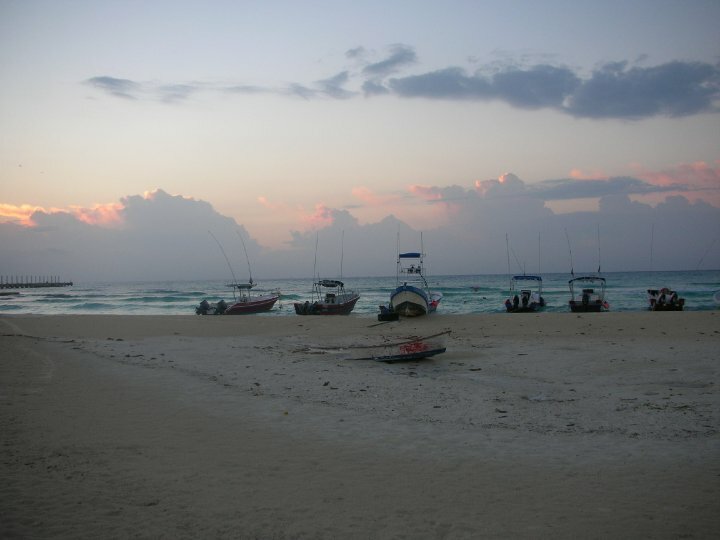 Back in March of 1997, I visited Cancun for the first time. I was instantly enamored with the turquoise blue of the sea, the stark white of the beach & the beauty of a culture & language in which I felt so at home. 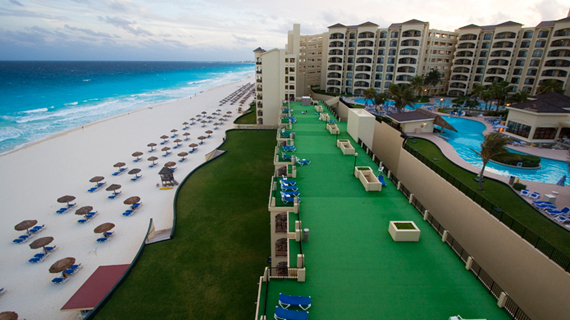 I was lucky enough to return to Cancun nearly every year thereafter. I consider The Royal Caribbean my first Mexican home away from home. 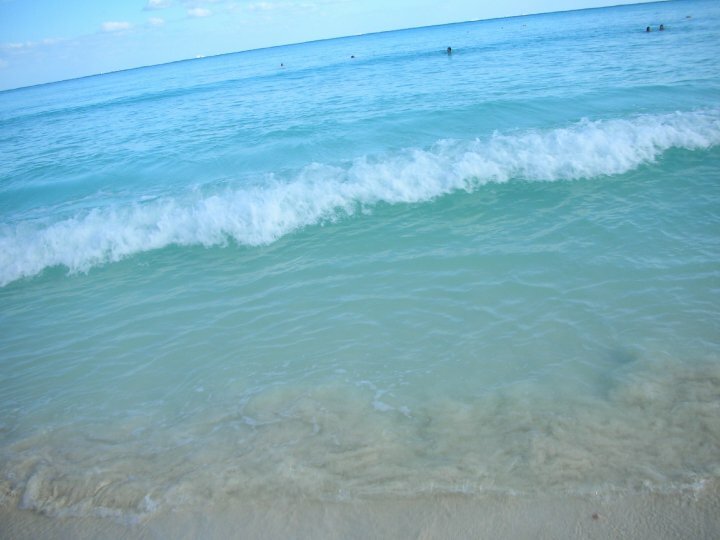 It was there that I first fell in love with the sea, Mexican culture & the luxury of a relaxing, tropical vacation. It was also there that I fell in love with a little drink called the Caribbean Breeze. The legal drinking age in Mexico is 18. But when you’re a blonde-haired, blue-eyed “guerita” & are ordering from a middle-aged Mexican man, legalities sorta get thrown out the window. 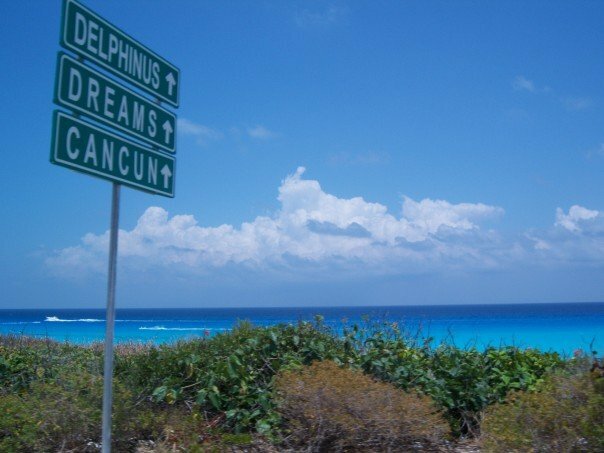 I can’t say for sure that it was my first trip to Cancun, spring break of 7th grade, that I first tried the Caribbean Breeze, but I can’t say that it wasn’t either. I don’t exactly recall but I do know that my parents were pretty cool about me trying out fruity concoctions, with or without booze, on these vacations. What I do know, is that for years, the Caribbean Breeze was my go-to drink while bellied up to the pool bar at The Royal Caribbean. 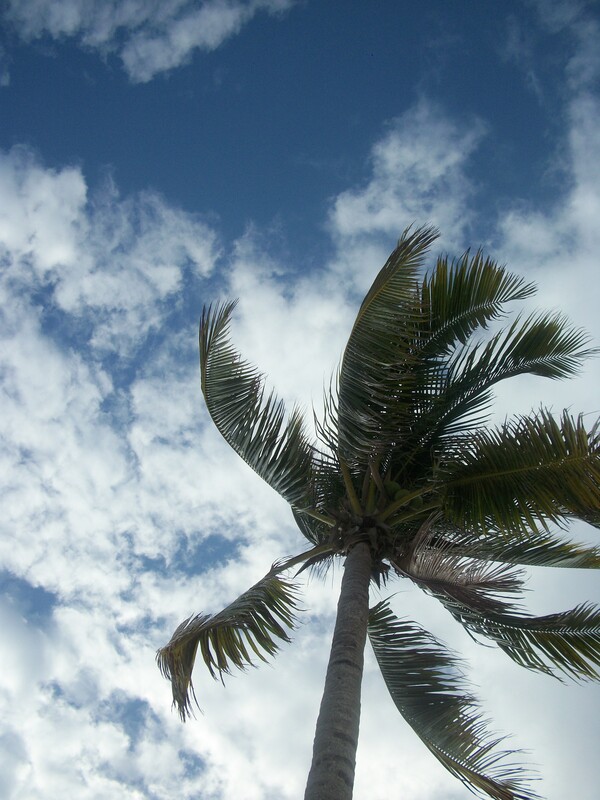 Even though it’s been sunny, muggy & “tropical” feeling around here lately, I’ve really been fiending for a vacation. Of course I wouldn’t pass up the opportunity to jump on a plane & go right now, but mostly I just need to book a trip for the upcoming winter. Once my trip is booked, I have something to look forward to & it almost cures my vacation blues. But today I had the brilliant idea to bring a little Mexico to Wisconsin in the form of a Caribbean Breeze! My first sip of this melony concoction was years before I ever started to think about bartending, let alone even fathom what sort of ingredients it might require to make this utter deliciousness. It also wasn’t until a few years later that I discovered Midori, the bright green melon liqueur that I now know made this drink so … well, bright green & melony. I discovered today that Midori is not sold in those tiny little airplane bottles at my favorite liquor store. Malibu Rum, however, is. So like always, I improvised. 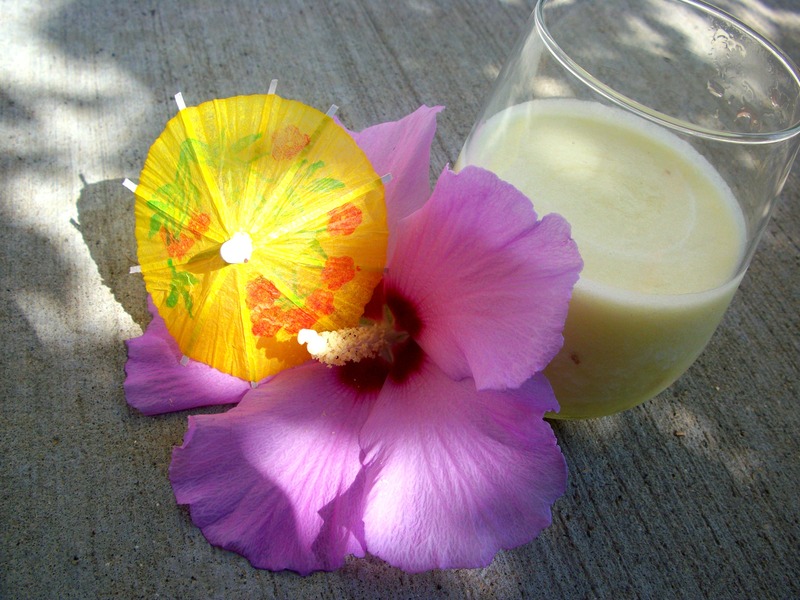 Malibu & Triple Sec serve as the booze bases for this yummy sip, while frozen melon & pineapple provide the fruity flavors + chill factor & lemonade tops it all off with just the right amount of tart. You may have noticed that I’m a tad obsessed with blending things as of late, so it should come as no surprise to you that I “built” this cocktail in a mason jar & blended it in said vessel. 1. Pour 2 oz. Malibu into mason jar. 2. Add 1 oz. Triple Sec. 3. 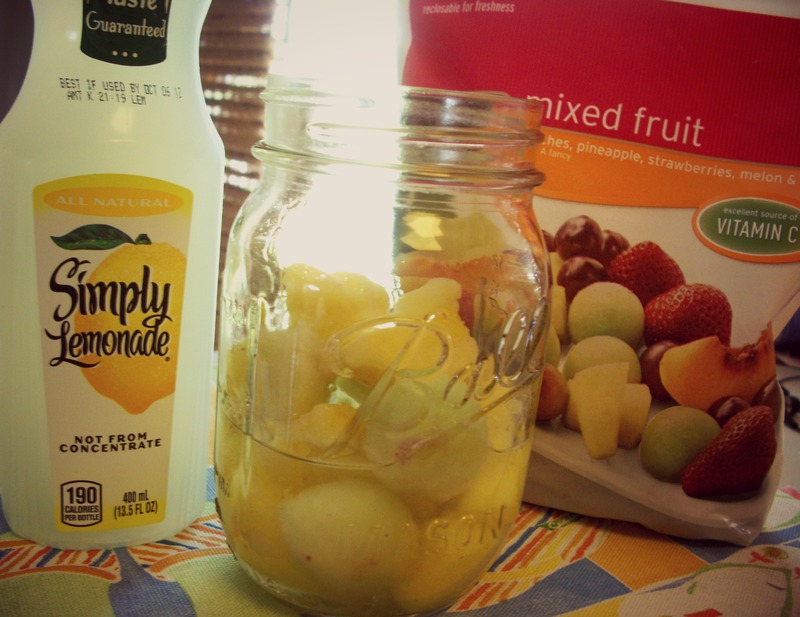 Add approximately 15 frozen melon balls & pineapple cubes. 4. Fill jar almost to the top with lemonade. 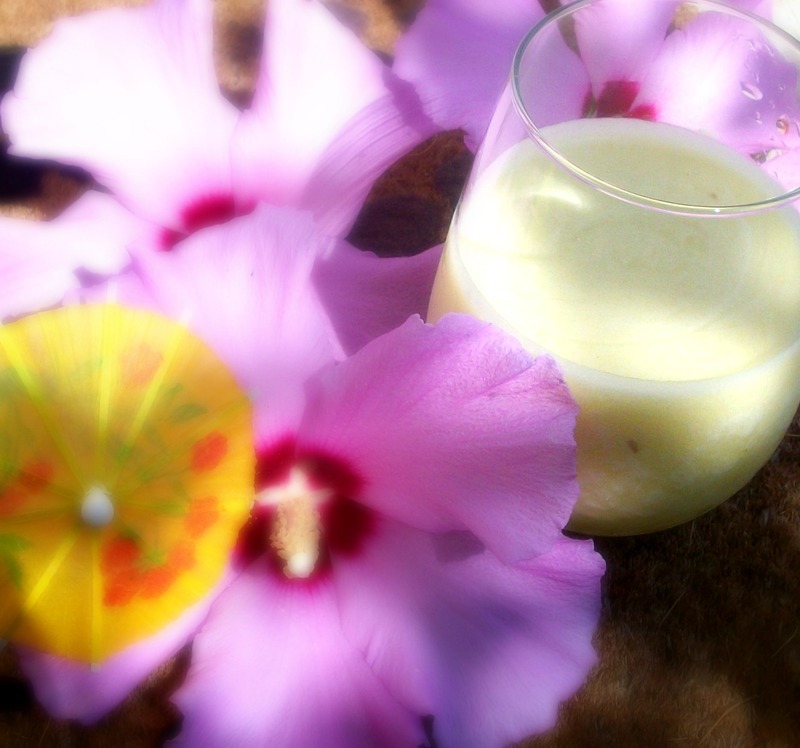 Aside from jumping on a plane & having a cute little camarero make it for you, it could not be simpler to bring a little bit of the Caribbean right to your lips. Sweet, but not too sweet. Tart, but not too tart. Cold, definitely cold enough. Oh. So. Refreshing. Sipping on this Caribbean Breeze got me thinking about all of the wonderful memories I’ve made in Mexico over the years. 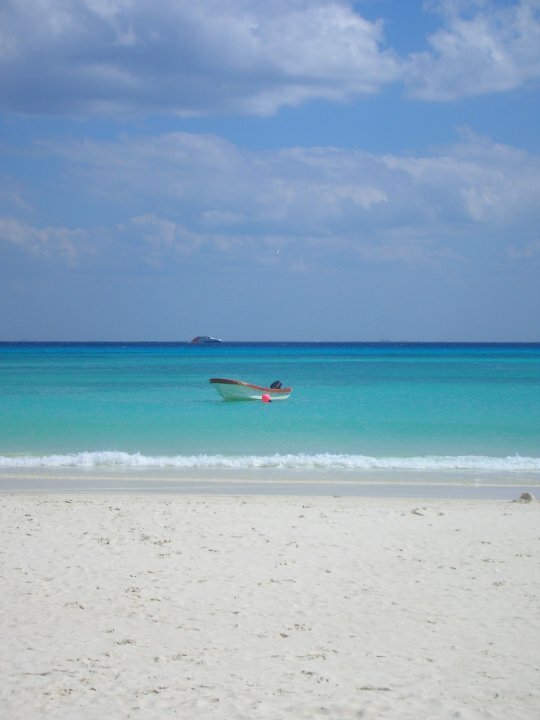 While I’ll always have a soft spot in my heart for Cancun & especially the Royal Caribbean, I’ve since traveled a bit further south & now think of Playa del Carmen as home. The sights, sounds, & crowds are a bit less intense than in the ever-growing Cancun. 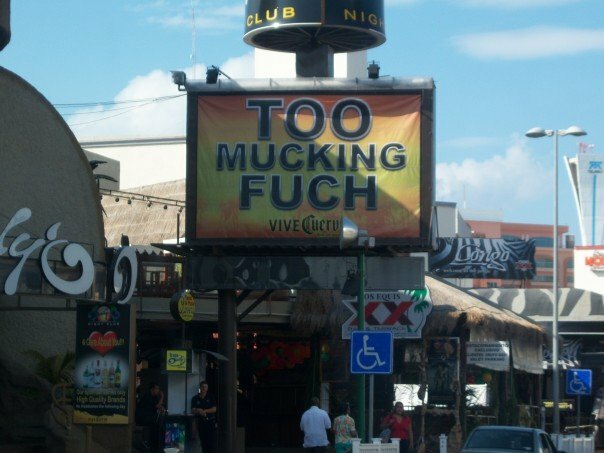 I know that some day Playa del Carmen may also fall victim to too much, too many, too Vegas-like. But for right now, I dig it’s vibe. I’ll visit again and again until I decide it’s just not me anymore. But I just don’t see that happening any time too soon. 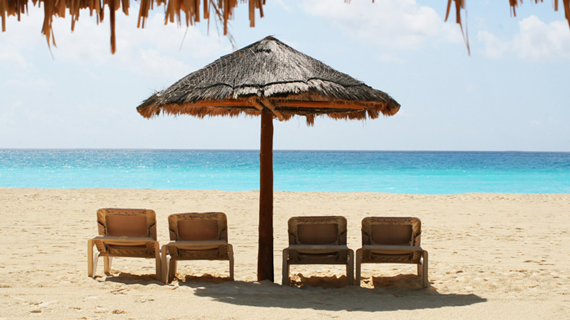 Do you have a favorite vacation place that you visit year after year? Do you have any specific memories from the first time you visited? How about traditions when you visit? I feel like this question has come up quite a bit on other blogs lately, which could be the reason I’ve had Mexico on the brain so much as of late. I have countless memories of trips to Mexico, and traditions that I hope to pass on to my children some day. It’s weird how much I truly feel at home when I’m in Mexico. That place just warms my heart. Oh goodness, this looks amazing. We visit the shore (Ocean City, NJ) every year, and it’s my very favorite place in the world. And one of my FAVORITE traditions is the (rare) trip to Brown’s for these fresh made donuts from the boardwalk. Eating them while they’re still hot, fresh off the line, there’s nothing like it! The drink looks delicious – I am the person who never goes back to a place. I LOVE seeking out new destinations, more stamps for my passport, new experiences!